February 2019 | Progress is not about how we grow, it is about how we make a difference in lives of others! This is the guiding principle at Yashraj Biotechnology Limited (YBL), a pioneering biotechnology company located in Navi Mumbai, India. Today, YBL is a leading name in the in vitro diagnostic market, supplying high purity Antigens, Antibodies, proteins and enzymes to some of the world’s top 20 diagnostic companies. February 2019 | In the upcoming event BioAsia 2019 from 25-27 February 2019, a lot of fruitful discussion are expected to happen regarding business of Life Science, Biotech and Pharma companies in India. In this India’s biggest and finest Biotech industry meet, gathers industry’s leaders under one roof and discusses latest ongoings. The event is gaining much wider attention from last few years. In year 2017, interesting ideas were shared by Dr Vas Narsimha , Dr Paul stoffels, Dr Soumya Swaminathan, Prof. Michael Hall, Lasker Awardee 2017, Dr. Udit Batra, Member of the Executive Board, CEO Life Science, Merck , Mr. Satish Reddy, Chairman, Dr. Reddy’s Laboratories, Mr. Jawed Zia, Country President , Novartis India Ltd. and many more dignitaries which were there in 2017. February 2019 | The proteomics in India was mainly started with cancer biomarkers discovery. This was followed by application of proteomics in Agri sciences. India took the initiative in 2001–2002 when the Council of Scientific and Industrial Research (CSIR) initiated and supported a multi-institutional project on “New targets and biomarkers for cancer using Genomics and Proteomics” involving the CCMB, Hyderabad, Tata Memorial Centre-ACTREC, Navi Mumbai, IISc, Bengaluru, and Sri Sathya Sai Institute of Higher Medical Sciences, Bengaluru. February 2019 | It was the first time in 1789 when Antoine Fourcroy distinguished several types of proteins (then called “albumins” or “Eiweisskörper”) such as albumin, fibrin, gelatin, and gluten. Today in 2019, we have evolved to Proteomics when we can study total proteins of a cell or an individual. The transistion occur due to knowledge and efforts of great many scientists which is further helping us to combat major issues like medical, food, environment and many others. February 2019 | Altogether it makes a number around 110-120 companies which are involved in Protein Biology. Here is the list of major Indian Protein BioPharma companies with their products, Here is the list of Indian companies which either produce or sell Biosimilars of other companies in India. This is a comprehensive list designed manually through the research of different websites like of Market research companies and online drugs suppliers. 1. Abatacept – Abatacept is recombinant protein that is used for treating rheumatoid arthritis. It is an immunesuppressant, a drug that suppresses the immune system. It is sold under brand name Orencia. February 2019 | Researcher will get increased fellowship from January 2019, according to notification by DST. The government has revised the fellowship amount for Junior Research Fellows (JRF) by over 20 per cent to Rs 31,000 from the existing Rs 25,000. The Senior Research Fellows, those who have cleared the JRF and have a minimum of two years of work experience, will be entitled to get the revised salary of Rs 35,000 per month. Before this, the JRF and SRF stipends were revised in 2014 to Rs 25,000 per month and Rs 28,000 per month, respectively, in 2010. January 2019 | Student Delegation also met Hon’ble Union Minister for HRD Mr Prakash Javadekar on 26th December 2018. Taking the Stipend Hike Movement at a new level, Students’ representatives are approaching the respective authorities to put the demands of stipend hike, periodic increment and timely disbursal forward. On 26th December students from IISc, IIT Delhi, IIT Kanpur, JNU, Delhi University, AIIMS and few other research institutes met Mr Prakash Javadekar, Hon’ble Union Minister for HRD. January 2019 | Interestingly, in one negative context of pseudo-sciences, the late scientist Carl Sagan made an insightful observation of using them as tools for arousing scientific interest in the otherwise dull curriculum: As per his writing, If science is presented poorly in schools and the media, perhaps some interest can be aroused by well-prepared, comprehensible public discussions at the edge of science. The mythological extravaganza and the poetic hyperbole of ancient Indian epics with their astounding weapons and intelligent apes and flying machines can definitely help an eager mind to break free and imagine widely. January 2019 | Based on a novel process architecture, Univercells designed the automated NevoLine bioproduction system that facilitates safer, faster and closed bioprocessing in a much smaller footprint. Through intensification and chaining of unit steps into a continuous process, users achieve high yields with less time and money invested. The sIPV production process using the NevoLine system is capable of producing trivalent sIPV at less than $0.30/dose, representing a five-fold reduction compared to current manufacturing technologies. January 2019 | Name of Professor Ashok Pandey has come up among the top 1% highly cited global researcher from India and only name from CSIR which is largest research organization in the country. Clarivate Analytics, the global leader in providing trusted insights and analytics to enable researchers to accelerate discovery, published its annual Highly Cited Researchers (HCR) list. Now in its fifth year, the citation analysis identifies influential researchers as determined by their peers around the globe – those who have consistently won recognition in the form of high citation counts over a decade. The Web of Science serves as the basis for the regular listings of researchers whose citation records position them in the top 1% by citations for their field and year. December 2018 | There are many processes available for the degradation of plastics, but the most eco-friendly and cheap method is by microbial degradation as the other process has hazardous effect on environment and also be costly. This study deals with the isolation, characterization and identification of plastic degrading bacteria and also study of the degradation of plastic waste by using individual bacterial isolates and also the consortium of bacterial isolates. Total 20 isolates were obtained from the Fursungi area, Pune, India. December 2018 | Researchers of the Institute of Plant Molecular and Cellular Biology (IBMCP), a mixed centre of the Valencia Polytechnic University (UPV) and the Spanish National Research Council (CSIC), in collaboration with the Centre of Agrigenomic Research (CRAG) of the CSIC, the government of Catalunya, the Authonomous University of Barcelona and the University of Barcelona; and the Institute of Food Agrochemistry and Technology (IATA) of the CSIC, have been able to efficiently produce antifungal proteins in plants, based on a modified tobacco mosaic virus. The results of this research, which could have a great impact in the agri-food industry, have been published in the Plant Biotechnology Journal. December 2018 | The four-day International Conference on “Biotechnological Research and Innovation for Sustainable Development (BioSD-2018) was held during November 22-25, 2018 at CSIR-Indian Institute for Chemical Technology (IICT) in association with The Biotech Research Society, India (BRSI) and International Bioprocessing Association- An International Forum on Industrial Bioprocesses (IBA-IFIBiop). A total of 720 participants attended the conference from all over the world, which included invited speakers from India, Australia, Bangladesh, Belgium, Canada, China, Germany, France, Italy, Japan, Hongkong, South Korea, Mexico, Nepal, Netherlands, Portugal, South Africa, Spain, Taiwan, Thailand, UK, USA. December 2018 | A total of 27 startups applied for the event, out of which TiE shortlisted 13 startups for the investor pitch. After the final round, BODHA an innovative product startup from Amaravati, incubated in IKP knowledge Park, Karnataka is the clear WINNER. Followed by Hyderabad ventures, GoBhaarati incubated in Nutrihub of IIMR & Urban Kisaan incubated in NAARM A-Idea. TiE-Hyderabad invited 13 startups from 27 applicants, to pitch to investors / entrepreneurs. December 2018 | An international conference on Bio-Innovation for Environmental and Health Sustainable Developments (BEHSD-2018), November 27-28, 2018; Lucknow, India was organized by the CSIR-Indian Institute of Toxicology Research (CSIR-IITR), Lucknow, India in association with The Biotech Research Society, India. The venue was CSIR-IITR. A total of ~ 200 participants attended the conference from all over the world, which included invited speakers from India, Australia, Belgium, Canada, China, France, Italy, Hong Kong, South Korea, Netherlands, Portugal, South Africa, Spain, Sweden, Taiwan, Thailand, UK, USA. November 2018 | A renowned Indian geneticist and international administrator, MS Swaminathan, was recently awarded the first World Agriculture Prize by Vice-President Venkaiah Naidu, reported The Hindu Business Line. Known as the “Father of Indian Green Revolution”, his contributions to Indian agriculture were seminal in reducing India’s dependence on food imports and achieving self-sufficiency. November 2018 | At an event on ‘Standardization of Homeopathy,”experts from France and India deliberated on the need to prescribe modern homeopathic medicines to patients that offer more quality, safety and hygiene than conventional drugs. The new pre medicated medicines or Boiron Tubes as they are called, are high quality medicines packaged in a unique sealed tube and are considered gold standard in homeopathy. The tubes have ingredient labelling, indications, batch number, intelligent design, expiry dates and MRP listed on them giving patients more choice and convenience. November 2018 | Large scale farmer agitations across the country have made it imperative to look into the mounting agriculture debt in the country. Farmer suicides in India account for 11.2% of all suicides today. About 40% of the farmers are dependent on farming for their livelihoods. The reasons for their distress can be attributed to many reasons. A major one being the high dependence of Indian farmers on monsoon. Lack of it or an excess has been instrumental causing damages in most of India’s agriculture terrain since decades. This followed by diseases, pests etc. have also been why crops get destroyed. November 2018 | The disease TB kills more than 1,400 Indians every day. Some group of Intellectuals says TB is a disease of poor, which is partly true somewhere. WHO estimates that one third of the world’s population is infected with the bacilli that can potentially causes TB, but the transition from infection to disease is the result of the battle occurred between the body and the infectious bacilli. An infected person with weak immunity can easily develop the disease. TB can occur in any part of the body but the most common and dangerous is the Pulmonary TB. Dangerous because the transmission can normally happened by coughing or sneezing. November 2018 | Look back to your teen years when you were staring at the huge zit on your face in front of the mirror. 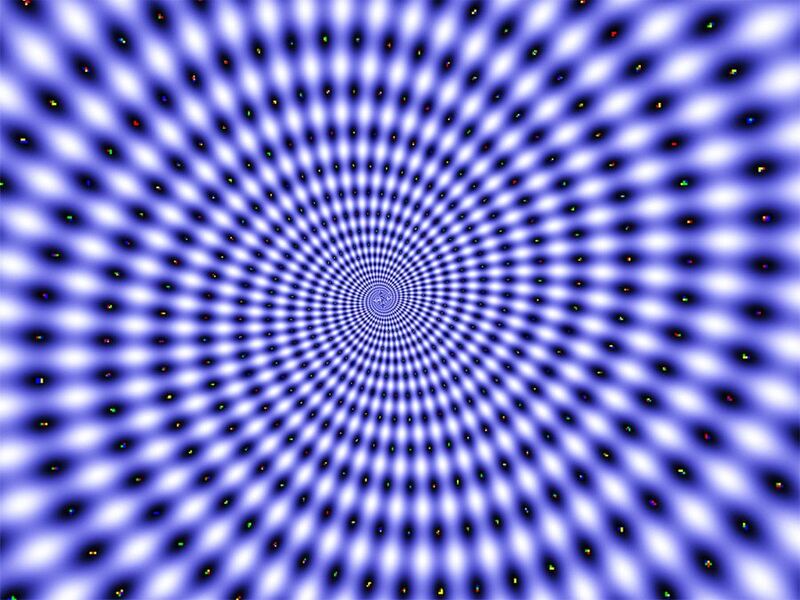 Thoughts were spinning in your head. How did it get there? How do I get rid of it before anyone sees it? It was reported that approximately 80%-90% of teenage are affected with acne. Although it is a curse of teenage, it may be present at any age. The problem is of 3%- 6% of adult men and 5%-12%adult women. The disease is more occurring in females than males. In 2013, it was reported that acne is the 8th most common disease worldwide affecting 660 million people. Although Acne vulgaris is not associated with mortality, it has physical and psychological impact on the patient. October 2018 | The Government has appointed Shekhar C Mande, the director of the Pune-based National Centre for Cell Science and a top functionary of Vijnana Bharati, a swadeshi science movement affiliated with the RSS, as the Director General of Council of Scientific and Industrial Research (CSIR) and Secretary of the Department of Scientific and Research (DSIR). Thelma is an excellent example to understand how Genomics is done and how it is applied for the welfare of general public. Thus we are trying to write as much as possible about her for our readers who search for new avenues and career prospects in Genomics. October 2018 | According to Goldstein Research analyst forecast the genomics market size is set to reach USD 24.5 billion by 2025, at a CAGR of 11.2%. Grand View Research, Inc. estimates the global genomics market size will reach USD 27.6 billion by 2025. MarketsandMarkets Research Private Ltd. valued global Genomics market at USD 13.45 Billion in 2016 and is expected to grow at a CAGR of 10.2% to reach to USD 23.88 Billion by 2022. Research and Markets’ report The global Genomics market is expected to reach USD 23.88 Billion by 2022 from USD 14.71 Billion in 2017, at a CAGR of 10.2%. October 2018 | As said ‘‘an ace in the hole for DNA sequencing’’ by world’s most reputed Science journal i.e. ”Nature”, it is true that Oxford Nanopre is going to change what people think of Genomics. It is also evident that Gordon Sanghera and his team have developed a revolutionary device that will change the course of what people know and do with DNA Sequencing. So this special article will show you that why OXFORD has been selected for special coverage despite the presence of other major players in the market. October 2018 | The reason why GT came 1st in our survey is because no other company is providing these many Genomics services to clientele from a such long time, Unlike others ‘GT’ company is both into R&D and sales of Genomics Services and products. It has been 5 years since Biotech Express was started with a notion to unite scattered Biotech academia and industry when there was no source of Indian news and information for academicians, scientists and industrialists. In August 2013 the first issue of Biotech Express was released and at that time our main focus was entirely to cover Academia and research of Biotech. In this special article we are showing our journey of news reporting by showing major news, articles, events and people that became part of the content of this magazine. It is not necessary to publish anything in this magazine but Biotech Express carefully choose people for interview. In this way we try to include as much as diversified information and experiences of people who have touched highest echelon in the society. Most of the time we select people who are on the top in academia or industry or whose working is true source of inspiration. Biotech Express actively promote and participate in events which offers Top meetings schedules in field of BioSciences including Biotechnology, BioEnergy, Genetics, BioPharma, Bioagri, Bioindustry and others. We choose these events very carefully because Our target audience includes high profile community of Top Researchers, Top CEOs and Policy makers of Academia and Industries, but we are equally inclined toward promotion of start-ups. 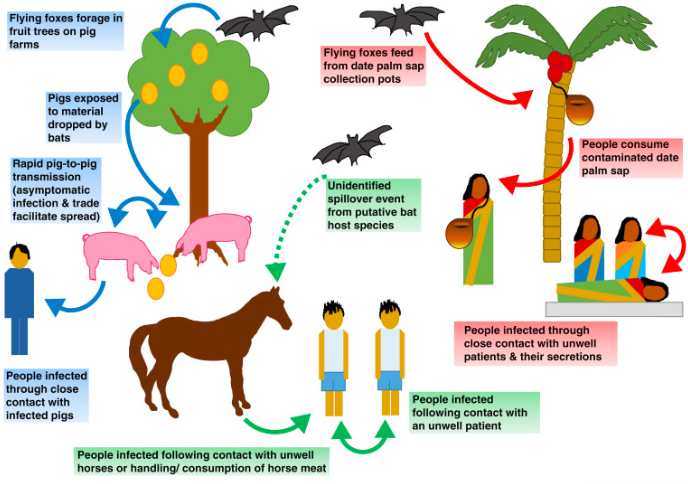 Nipah Virus has emerged as a deadly pathogen for South Asian countries and poses great threat if transmitted from one region to another. CDC and WHO have issued various guidelines and research grant schemes to combat deadly disease and to prevent its transmission into other parts of world. The disease has claimed 100s of life alone in Bangladesh and India after it was first reported in 1999. Though it seems that it has taken few lives but if ignored it can turn this earth into graveyard. In this article every aspect has been included to understand this deadly virus and ongoing research. Free radicals damage the natural metabolic process in cell by damaging cell membrane, proteins, fats, nucleic acids in the cell and cause several disorders such as Cancer, Parkinson’s disease, Alzheimer’s disease, myocardial infarction, premature aging, age-related macular degeneration (ARMD) and cataracts. An overview on the history of stem cell research, will give the basic knowledge and recent advances of fish stem cell cultures and biotechnology, various applications of stem cells such as the germ cell culture and transplantation, gene targeting and semi-cloning. The department of Biotechnology in India was started in year 1986 and born out a new era of development in the country but before a decade ago the seed was sown when Ministry of Education’s most pioneering effort was instrumental in the creation of Biochemical Engineering Research Centre at IIT Delhi with substantial assistance from the Swiss Federal Institute of Technology, Zurich, Switzerland to make available state-of-the-art infrastructure for education, training, and research in biochemical engineering and biotechnology in 1974. Biotech Coachings : Why their existence becomes important for students? India has around 60 coachings which provide teaching assistance to more than 10,000 students on 6 month basis. These are available all over India but main hotspots are Delhi, U.P and Chandigarh, slowly they all are developing and giving valuable assistance to young generation. The recent time saw sudden increase in number of coachings from 15-20 in 2013 and now 60 in 2018. This shows that Biotech coaching for MSc and NET is valuable commodity for the biotech market, they help to produce scientific talent in the country like other exams of medical, engineering, UPSC etc. More than minimally manipulated and substantially manipulated stem cells’ would be considered as ‘drug’ under the amended Drugs and Cosmetics Rule, 1945, whereas ‘minimally manipulated stem cells’ would form part of the ‘stem cell therapy’ and fall under the purview of surgeons or clinicians as opposed to ‘stem cell drugs’ which would be a product or a drug. Stemedica has patented method of culturing cells under hypoxic conditions of 3-5% O2, resulting in much higher efficacy, as seen in several ongoing global clinical trials and numerous case reports. The hypoxic Stem Cells are fully characterized (Figure 4) with all major biomarkers identified (no CD34 indicating pure MSC cultures, with no hematopoietic or progenitor cells). Genome editing technology evolved steadily with consistent improvisation of the former technology. One such improvised technology was CRISPR-Cas9 which exploited the microbial adaptive immune system – CRISPR – found in bacteria and archaea. It was initially found in the E.coli K12 bacterial genome. Later, in the year 2002, this junk of DNA was named as Clustered Regularly Interspaced Short Palindromic Repeat’ – CRISPR. Stem cells are cells that have the potential to develop into some or many different cell types in the body, depending on whether they are multipotent or pluripotent. Serving as a sort of repair system, they can theoretically divide without limit to replenish other cells for as long as the person or animal is still alive. A team of student biologists from Bristol University have been selected to take part in the European Space Agency (ESA) Education Office ”Spin Your Thesis! 2018 programme”, which will take place in the Netherlands this September. Through the experiment, the Bristol Bone Biologists hope to achieve a deeper understanding around the onset and development of Osteoarthritis, by examining the effect of hypergravity conditions on the developing skeleton of Zebrafish…. 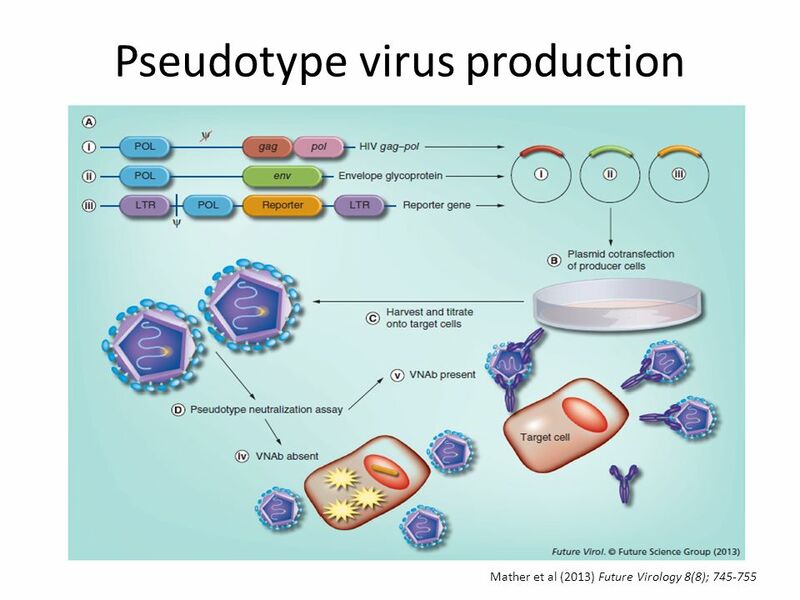 The process of aggregation of viral core and envelope originating from different viruses is called pseudotyping and the resultant viral particle is called a pseudotype or pseudotyped virus (PV). The outcome of sharing envelopes increased the infectivity array of a particular virus as the envelope proteins are attributed to determine viral tropism. The first report of PV was a serendipitous discovery with Rous sarcoma viral core and Rous-associated virus envelope (Rubin, 1965). From the basic education to latest applications in society, Europe and America (North and South) are pioneer in every field of Science and technology. Not only they are pioneer in human resources management but their economies are also at the top of the world’s major economies. This is because they are producing innovative products one after the another and the whole world is buying from them. In this article we are going to see how these 2/3 continents are pioneer in the field of Science and technology, particularly in the branch of Biological Sciences. Since this is a biological Science news magazine, here are presenting some facts from early history to present time, that make US and Europe world leader. News Analysis: What if Darwinism does not exist? News Commentary: Darwin’s Evolution in crisis: Conflict between Religious Persuasion and Explicit Science!!! 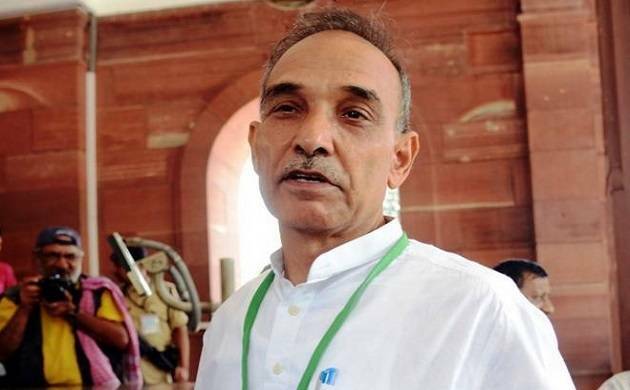 Recently, the Satyapal Singh (Minister of State for the Ministry of Human Resource Development), while addressing All India Vedic Conference (20 Jan 2018), remarked a controversial statement rejecting popular Darwin Theory of Evolution and claimed that “humans appeared on earth as human”. 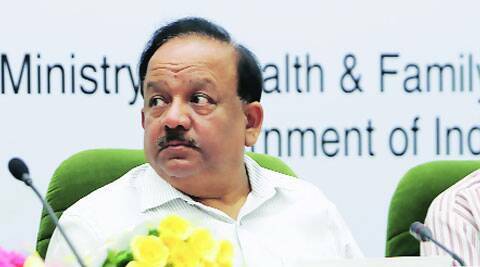 Such irresponsible and unscientific statement claiming Darwin‘s theory “scientifically wrong” and advocating to change the school curriculum, reflects the ignorance of such an intellectual IPS officer-turned-politician. In the last issue Biotech Express reported how Biotech Coachings are showing duplicate results to increase their number of results. We received their responses and excuses full e-mails in response to the article but Biotech Express did not stop to report the right issue. The article is a report of India’s renowned biotech coachings like Pathfinder and Grassroot academy. In this report, I have compiled some important information which student can use to make important decision while choosing best coachings to get desired results. Close look at their promotion strategy brought into notice, some tactics, which are being used to attract students in their centre by giving false projections. Here, I compiled some of the issues which student should keep in their mind while taking admission into any Biotech entrance coaching, and how they can avoid unnecessary expenditure of time and money by avoiding these honey-money traps by self study using available resources. Shreeji Biotech has pioneered a vision to provide in depth knowledge of biotechnological, life science and pharmaceuticals that supports real needs of today’s biotechnology/ life sciences students and preparing them for the future job or career options with quality benefits. According to sources, World has around 28,000 active journals in various disciplines and still counting day by day. The list also includes predatory and fake journals which publishes just for sake of money without looking the authenticity of articles. In this article, included are topmost journals you may consider to publish your important research findings, not just only to get publication for interview/employment purposes but to spread your research results among best researchers. The list contains top journals which can be consider for Biological or Life Science field in broad sense but there are many more journals which are interdisciplinary and thus can be choice to publish your results…. 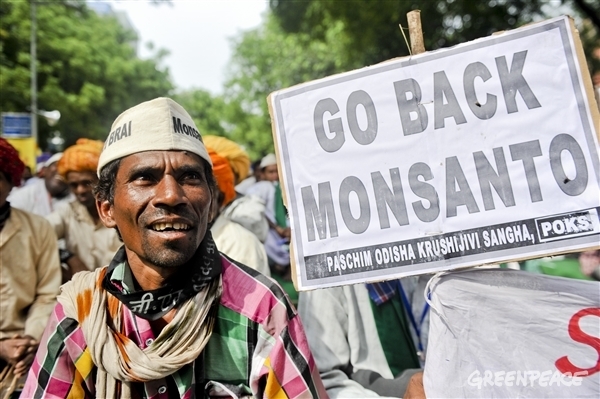 EDITORIAL: Should India stop experimenting GM Food crops? India is the second largest nation in terms of population, and seventh largest in terms of area which enables us to think toward more productivity on available resources. India is agriculture based economy and more than half of population depends on agriculture for living. Biotechnology in this scenario provides us an option to increase agriculture yield on available area, but are we prepare to bring paradigm shift? This looks difficult after analyzing current situation of GM Mustard, however this is not new, earlier our scientists developed GM Brinjal, but it was put on halt by Regulatory bodies unlike BT Cotton. So what we need to do? Should we stop development of GM crops? specially the edible ones or are there any measures to implement agri practices of GM food crops. When we see GM Cotton it looks apparent that we do not have any problem because BT gene is not entering our body and this would be the reason for success story of GM cotton. In this article we will look at the points from developers, anti-GMO and biotech regulators to understand situation of agribiotech in a country like India which is at 100th position out of 119 countries of Global Hunger Index 2017. In this article I am presenting here a detailed report of World and Indian biotechnology which will help you to understand what to believe and what not when you choose Biotechnology as a career either as a student or a startup. We always see statistics and accomplishments of top organizations in concern sector to know what is best achievable, so I am taking statements and statistics of 3-4 top organizations that are biggest in India and most of the biotechnology media around world revolve around them. 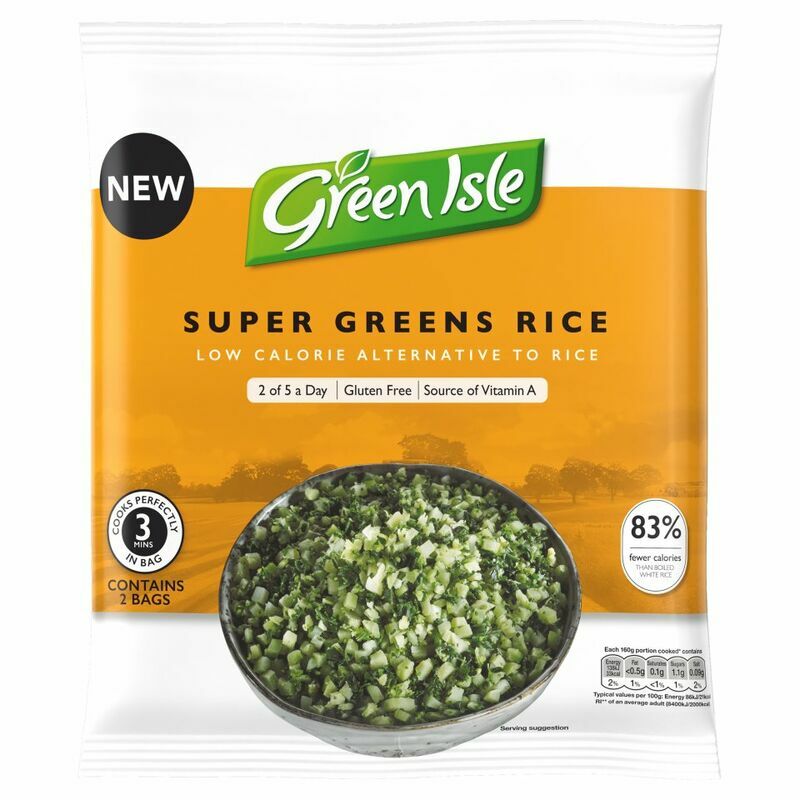 Green Super Rice (GSR), popularly known as “grain of truth” entered Asian market recently. This is a painstaking effort of scientists over two decades which congregates conventional, molecular and advanced breeding approaches in-order to incorporate the novel traits and genes responsible for that into elite cultivars. 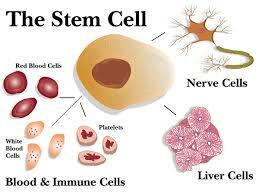 Stem cell is an undifferentiated cell of multicellular organism that is capable of giving rise to identify more cells of the same type. These cells are undifferentiated biological cells that can differentiate into more specialized cells and divide through mitosis to produce stem cells called as self-renew. In this news we want to bring in special attention of readers to a false self made statement about an interview in BIOTECH EXPRESS magazine of a lab consumable supply company. We never interviewed any Mr. Shreya Aggarwal and any company of such name ABDOS GROUP or ABDOS LABTECH PVT LTD., although we published news article of emerging startup company in biosupplier section, upon request by company. Following the western footprints on August 9 hundreds of Eminent scientists, researchers, teachers and students came together in the “India March for Science” spearheaded by the Breakthrough Science Society in a number of major cities. 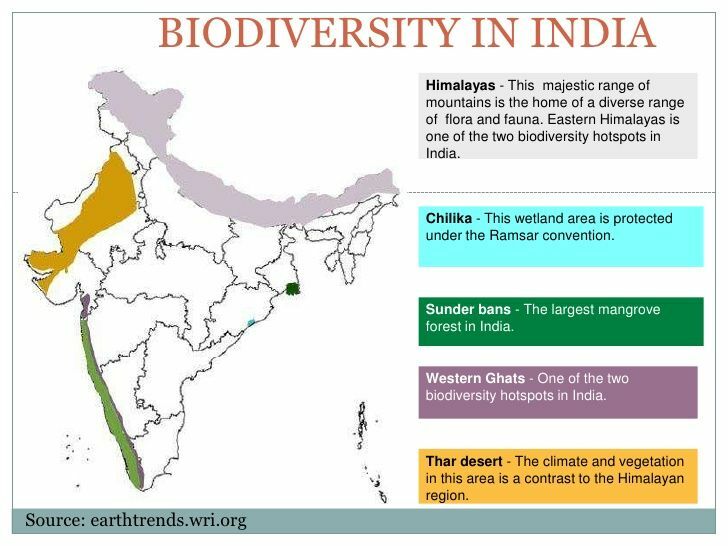 India is one of the richest countries in terms of Biodiversity. The Biological diversity Act 2002 is most important of all acts by amending the constitution, protection of forests and wildlife has been made one of the fundamental duties. Increase in population, urbanization and Industrialization etc. are taking place often at the cost of destruction of habitats. Of all disease transmitting insects, mosquitoes are considered one of the most dangerous creatures on planet because of their ability to spread deadly diseases. The United States center for disease control reports it kill more than one million people annualy just through transmission of mosquito borne diseases. The deadly diseases transmitted by mosquitoes include Dengue fever, Yellow Fever, Malaria, West Nile Virus, Zika Virus and chicken gunya. The news is related to BIO and Health of all of us and is a reason for billions of dollars of research around the world i.e. Cancer. I have tried to present here some news and statements related to Insurance, Health and Tobacco Industry by summarizing in an article. References are given at the end of article to read complete news from the sources. The passing of the GST (Goods and Services Tax) Bill has grabbed the attention across all the industries in the country. It would benefit most of the sectors and make the taxation process easier as it will replace a number of different taxes and duties like Central level taxes including Countervailing duty, service tax, central excise duty, additional excise duties, special additional duties of customs, and excise duties under the medicinal and toilet preparations Act 1955 will get abolished by the new taxation system and State level taxes including Sales Tax and VAT at the state level, CST, Entry tax, purchase tax, luxury tax, State level entertainment tax (over and above the tax at the local level), taxes on lottery and gamble will be merged under the GST head. Also, surcharges on the supply of goods and services at the state level will also get abolished. Opinion: The GST reform: Will it cost us our Health? But in a large country where a considerable population does not have adequate access to proper medical facilities, how will it impact one of the most important yet neglected sectors: Healthcare. The government recently passed the National Health Policy 2017 that promises to increase public healthcare spending to 2.5% of GDP. Guest Article: The GST reform: Will it cost us our Health? GST is levied on the supply of goods or services or both in India and will replace a number of existing indirect taxes being collected by the Centre and State Governments, including Central Excise Duty, Service Tax, VAT, Purchase Tax, Central Sales Tax, Entry Tax, Local Body Taxes, Octroi, Luxury Tax, et al. GST will help streamline the taxation system in the country and is set up with a primary aim to bring uniformity in tax laws in our country, hence the mission: One Country, One Tax. The authors opine that in order to strengthen the need based quality research to fulfill unmet challenges; a close interaction and collaboration between veterinary and biomedical scientists are required. The authors discuss the contribution of scientists who were initially trained to be veterinarians and then went on to become accomplished biomedical scientists only to make some ground breaking discoveries that eventually helped ameliorate public and animal health. Furthermore, concerns of trained veterinarian aspiring to become contributors in basic and biomedical sciences are highlighted. One of the things that the researchers at California Institute have learned about memory is that it absolutely does not work like a videotape recorder. It is more like a Wikipedia page. One can go in there and edit. Although the dense labyrinth of neurons in our brain is still a mystery, scientists are trying to unlock its secrets in order to understand the details of a particular memory or to retrieve it artificially. That requires two things: first we need to be able to find the memory in the brain and second, we need to be able to manipulate them. Globally, climate change is expected to reduce cereal production by 1% to 7% by 2060. Both the changing climate and growing population has been increasing the pressure on our food resources. The sustainability of feedable resources is looking difficult in present changing scenario of climate. Forecasting climate change is imperfect, complex, important, and often controversial. The core challenge of climate change adaptation and mitigation in agriculture is to produce more food with more efficiently under more volatile production conditions. Many Bacillus species are able to produce copious amounts of enzymes, which are of use in different industries. Pectinase enzymes are today one of the upcoming enzyme of commercial sector. It has been reported that microbial pectinase account for 25 % of global food sales. Besides analyzing the severity of certain distress symptoms, they also went forward to put up a comparison between other psychotherapy treatments namely cognitive behaviour therapy and ACT, where they put in that the later is more efficient when last stage cancer are concerned. In developing and developed countries, there is need of finding alternative renewable biofuels. Biological origin of biofuels is economical and sustainable, hence elaborative research is going on finding the sources. Algae finds its role in production of ethanol, hydrogen and biodiesel due to its cell wall content viz., cellulose, lignin and lipid. Stagnant and treated water generally polluted with algae due to presence of nitrate and phosphorus. 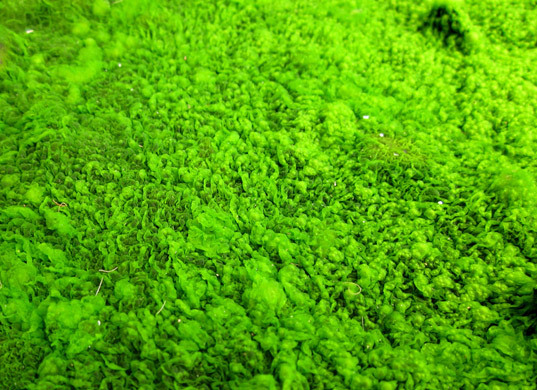 Low growth requirement of algae is the main attribute of microalgae. April 2017 | BioColumn: Biochar – our saviour to help us win over the great toxic game? Children should not be forced to give away some of their brain functions just because we enjoy some benefits from using pesticides. Well, they might not have to if a non-toxic alternative such as biochar is used for soil fertility management. Fierce competition in the industry has transformed smartphones into a high-end device that can shuffle between being a personal-assistance device to versatile equipments required for carrying out tasks related to work, daily chores and entertainment. Latest research findings have suggested that smartphones may now also function as ‘personal’ diagnostic tools. The science behind plants stress tolerance to biotic and abiotic stresses is always remains interesting and important aspect for researchers to enhance the crop productivity in arid and semiarid regions all over the world. 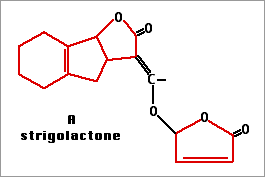 Melatonin (N-acetyl-5-methoxytryptamine) is indoleamine related to tryptophan involve in many physiological activities of plant. The crude infectious disease mortality rate in India is 416.75 per 100,000 persons and is twice the rate prevailing in United States (Laxminarayan and Chaudhury, 2016). As a marker of disease burden, pneumonia causes an estimated 410,000 deaths in India each year (Mathew, 2009) and it is the number one killer of children (Levine and Cherian, 2007). A scientist Levinthal worked on how fast protein folds. He in 1968 proposed that proteins fold very fast due to interaction of amino acids, thus limiting the conformational space that the protein has to explore and forcing the protein to follow a funnel-like energy landscape that allows it to fold into the most stable configuration possible. In late 1970’s gene targeting was developed as a powerful tool for permanent site specific modification of the genome. But this technology was based on taking DNA from the other source which makes it laborious and error prone. Although at that time these technologies were widely used. Thus, more research is to be needed for clearly producing a picture regarding the toxic level of EtBr and its mutagenic behavior. But for being on a safer side, proper handling measures must be followed while dealing with EtBr without making huge fears on its regular use. As there is well know proverb that “knowledge will protect you far more than fear ever can”. There has been an outbreak of Ebola Virus in West Africa. Guidelines have been generated by a number of Public Health Agencies worldwide to assist in halting the spread of this deadly Ebola virus disease. Ebola virus emerged in the West African countries like Guinea, Liberia and Sierra Leone in early 2014. The potential genome editing techniques i.e. Meganucleases, TALENs (transcription activator-like effector nucleases), ZFNs (zinc finger nucleases), and CRISPR-Cas9 (Clustered Regularly Interspaced Short Palindromic Repeats) are gaining much importance after the decreased popularity of Genetic modification technology. Answer is none of these will get you answer to your question. One day I was standing outside one of reputed research lab when a 15 year old guy came at gate and asked “I want to know what research you do, can I meet someone”. I was able to see that guard at the gate was clueless on what to do. I spent few minute with this guy and discuss what Scientists do. His second question was do we have any app where he can see who are top Scientists of India in various field. Honestly, this time I was clueless. Prof Ashok Pandey, FRSB served CSIR-National Institute for Interdisciplinary Science and Technology at Trivandrum, Kerala, India for about 29 years and created Biotechnology Division as well as Centre for Biofuels at NIIST, placing the institute at global map by his works. Mining industries are known to generate various dangers and risks that endanger biological communities worldwide. Mining operations and their unscientific waste transfer strategies are thought to be the primary source of heavy metal pollution in soil, water (ground & surface water) and deforestation. About 90 % of the mining wastes from the extraction of metals are in the form of sulfides and these squanders contains high amount of heavy metal toxicity particularly Cu, Zn, Cd and Pb. Many time you will see that people join into technical sales after PhD when they feel its challenging to get good PostDoc or Research position, rarely PhDs opt for this position by choice. I was one of those, who opted it by choice and would like to share my experience to be successful into technical sales and challenges one can face when starting his or her career into Life Sciences commercial world. VIEWS:– DO WE REALLY APPRECIATE AND SUPPORT INNOVATION? It has been spread over more than 25 countries till now. First indigenous case of America was found in February 2015, in Chile. Since April 2015, a large outbreak of ZiV has spread across much of central and south America. Then it began in Brazil, in May 2015, 16 cases investigated with Zika infection. In June 2015, first case of ZiV was presented in Dominican Republic. In Jan 2016, a travel alert was issued by CDC for traveler towards ZiV affected countries. Researchers from Brazil identify a new vector of ZiV is Culex quinquefasciatus. Dengue is a viral disease that today affects a vast number of people in over 125 countries and is responsible for a sizable number of deaths. In the absence of an effective antiviral drug to treat the disease, various treatments are being investigated. Studies have indicated that the juice of the leaves of the Carica papaya plant from the family Caricaceae could help to increase the platelet levels in these patients. You may wonder why I am using past tense. These days more often decline than accept these invitations. Let me spell out the reasons as I suspect many people (especially of my generation) are slowly giving up on reviewing papers. Dr. A.P.J. Abdul Kalam, born in the Southern city of Rameswaram hailed from a humble background. His father was a local fisherman. From selling newspapers after school to help ends meet, to going on to become the president of India, his illustrious career spanned more than six decades. Biotech Express team is sure that these figures would elicit the same sentiments from research scholars across the world. These figures are a continuous source of frustration during literature survey for the purpose of writing project proposals, research articles and theses. The brains behind the brilliant program- Ms. Alexandra Elbakyan, has however been condemned and discredited by successful corporate publishing houses for her initiative, labeling her a criminal and cheat. She is also facing several lawsuits filed by Elsevier Inc. against Sci-Hub which also led to suspension of the original domain name of Sci-Hub (sci-hub.org) after a court ruling. Using to an alternate domain, Sci-Hub sprung back to life within days. Many other areas have not been so lucky. Sometime ago, an editorial of Current Science journal touched upon synthetic biology and how physiology and biochemistry, the much older disciplines, had a similar overview of the biological systems. Politicians survive by coining catchy slogans; scientists more slyly discover materials science or nanotechnology or bioinformatics. Funds (‘vote banks’) have to be won; ‘schools’ have to be created. Both politicians and scientists are necessary in society and both should survive and normally do thrive if they are lucky. The use of self healing material is an emerging and fascinating area that would improve the working life and safety of the products for a broad range of applications. Now the use of self healing agents is no more a fiction but has proved as a boon in paint industry, aerospace industry, concrete industry, lubricants and corrosion resistant materials as well. Metabolic engineering deals with the use ofmodern techniques of genetic engineering such as gene overexpression, gene silencing, CRISPR/Cas9 and modified genes producing potential proteins for the production of desired molecules at higher concentration and undesired molecules at low concentration. Some of my laboratory efforts in this directions are highlighted briefly. I teach at IIT Delhi. Like many Indian scientists, I have also spent some time in other institutions, both national [IISc, Bangalore; AIIMS, New Delhi] and outside India [MIT, USA; University of Technology of Compiegne, France; Lund University, Sweden and University of Minnesota, USA]. So, I have often wondered what is a great educational institution and how do we establish more in India. All the institutions I have mentioned above are great institutes. Earlier, in my life, I also attended Hansraj College in Delhi University. Bioplastic is a plastic made using renewable biomass. Bioplastics are manufactured using biopolymers which offer a renewable and sustainable alternative to oil-based plastics (petro plastics). Bioplastics can be produced from plant starch, cellulose, lignin (wood), oils and proteins. Research Article: Marine sources hold treasure for therapeutics. Marine ecosystem represents almost half of the total diversity on the earth. The marine ecosystem are rich bioresources which are pool of bioactive compounds that have immense industrial, pharmaceutical and nutraceutical potential. Marine compounds isolated from marine organisms are emerging and attractive options for antimicrobial drugs nowadays. They have antimicrobial activities like, antifungal, antimalarial, antiprotozoal, anti-tuberculosis and antiviral activities. Research Article: Innovative Research on Water Hyacinth utilization in India. It has been estimated that at any given point of time more than 2 lakh hectors of water bodies of our country are affected by the infestation of aquatic weeds like Water Hyacinth (Eichhornia crassipes) and Water Moss (Salvinia molesta). Their explosive growth and mat forming nature causes severe damages to the aquatic ecosystems all over the world. The negative impacts of these weeds include reducing biodiversity, affecting inland navigation, irrigation, agriculture, fisheries and backwater tourism directly impacting the livelihood of millions of people. Research Article: Soil enzymatic activity: A vital tool for soil quality assesment. Soil enzymes are vital and a very relevant parameter for assessment of soil quality. Near about all the soil enzymes are directly or indirectly affected by climatic as well as anthropogenic activities. Soil enzymatic system perpetuates soil biodiversity, soil productivity and functional diversity under several climatic stresses and management circumstances. Soil enzyme activity is a potential indicator of soil quality assessment because of its high subtlety to cimatic and cultural interference and the serenity of measurement. Regenerative medicine is a branch of tissue engineering and molecular biology which replaces the damaged tissues and organs to restore their proper functioning in the body. Though our body possesses the ability to heal the damaged parts of the body, but this natural process is a pretty slow one. Regenerative medicine promises to heal the damaged tissues and organs at an accelerated pace. Three phase partitioning (TPP) is such a useful bioseparation strategy which satisfies almost all of the above parameters for present day need. TPP is an emerging purification method, which is simple but elegant non chromatographic process used for purification and concentration of proteins. It is easily scalable and can be used directly with crude suspensions. The Zika virus, unlike other mosquito-borne viruses such as dengue, is relatively unknown and unstudied. That is set to change since Zika, now spreading through Latin America and the Caribbean, has been associated with an alarming rise in babies born in Brazil with abnormally small heads and brain defects — a condition called microcephaly. In India, the credit of a successful Green revolution goes to the much revered scientist, Professor Mankombu Sambasivan Swaminathan, whose main goal was to eliminate hunger and poverty using environmentally sustainable agriculture, food security and preservation of biodiversity. Norman Borlaug won the Nobel Prize for Peace, and he subsequently acknowledged in a letter that ‘to you Dr Swaminathan, a great deal of the credit must go for first recognizing the potential value of the Mexican wheat dwarfs. Had this not occurred, it is quite possible that there would not have been a Green Revolution in Asia’. vitae. I have joined the BRSI as a member in the year 2013 and actively participated in the international conferences organized since then and will continue in future as well. It is remarkable to note that BRSI is a platform for scientific gatherings that gives exposure in research activities from the national and international outlook. Besides, it is an opportunity to interact with the eminent scientists from around the world that enables to build scientific networks, which is important for young scholars. I hereby express with sincere gratitude to my research supervisors, research institute and family for the kind support and constant encouragement. The M. S. Swaminathan Research Foundation (MSSRF) is a nonprofit trust which was established in 1988 in Chennai, India. Professor M. S. Swaminathan received the First World Food Prize in 1987 and then, Swaminathan used the US$200,000 prize to start the MSSRF. The Foundation aims to accelerate use of modern science for agricultural and rural development and to improve lives and livelihoods of tribal and rural communities. This foundation tries to use maximally science and technology for sustainable environmental and social development.